The Estate has a mix of commercial plantations, ancient semi natural woodlands and shelter belts. There is a saw mill and we produce for almost all of our own timber needs. We sell fence posts, boat blocks, beach groynes, sleepers and logs. The commercial forestry areas of Scots Pine, Corsican Pine and Douglas Fir are harvested as they mature allowing space between the trees as they grow but still encouraging them to grow skywards with the aim of long straight timber, these commercial forestry areas will be replaced with more pine and fir - particularly Corsican and Douglas as best suits Cadland soil type. It is essential to keep a balance between hard and soft woods. 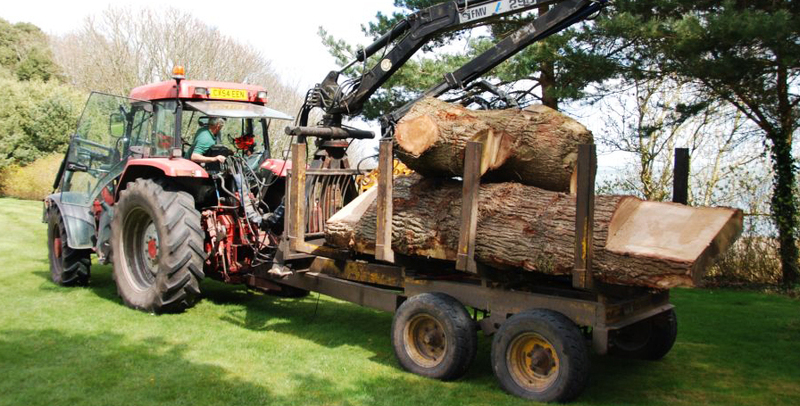 Cadland Estate is nearly entirely self sufficient in its timber requirement. We are currently investigating a wood fuel boiler for the main Cadland House and also for our commercial units at Whitefield Business Park which are likely to run off saw logs.